Our Events — CHAYOU TEA. Tea Ceremonies. Tea Tasting. Tea Workshops. Tea Parties. Modern Events. Steeped in Tradition. We specialize in intimate tea tasting events that delight the senses and soothe the soul. 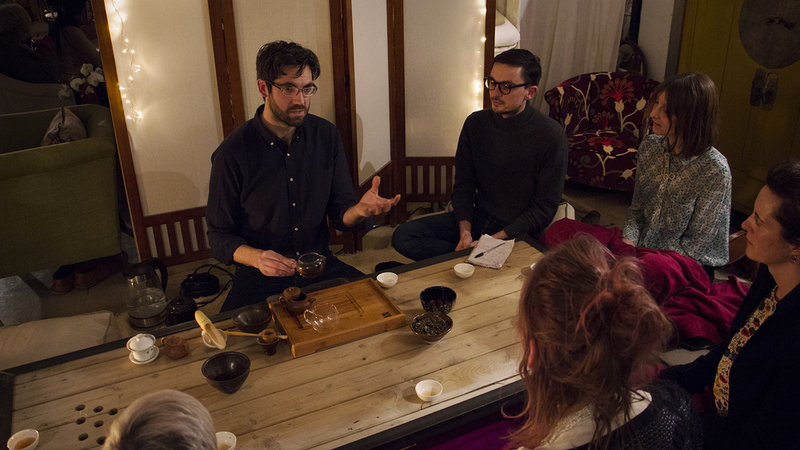 Our most popular events are our tea tasting flights, traditional tea ceremonies and tea mastery workshops. We also offer private tea tasting, education and sourcing (see extra services). Take a tea flight around Asia! Taste a hand-picked range of premium whole leaf teas and develop an appreciation for aroma, flavour and mouthfeel. Learn the story of each tea - how it is made, processed and brewed. Take away illustrated tasting notes to continue your tea tasting journey at home. Discover the ‘Way of Tea’. Experience a traditional Chinese or Japanese tea ceremony using the most refined ceremonial grade teas from our private collection served in traditional teaware by a tea ceremony specialist. Release your inner tea master! Learn how to make and serve the finest teas from China and Japan using traditional tea wares including gaiwan, kyusu and chawan. Your first step along the ‘Way of Tea’ has begun.